The Shroud of Turin was my inspiration. 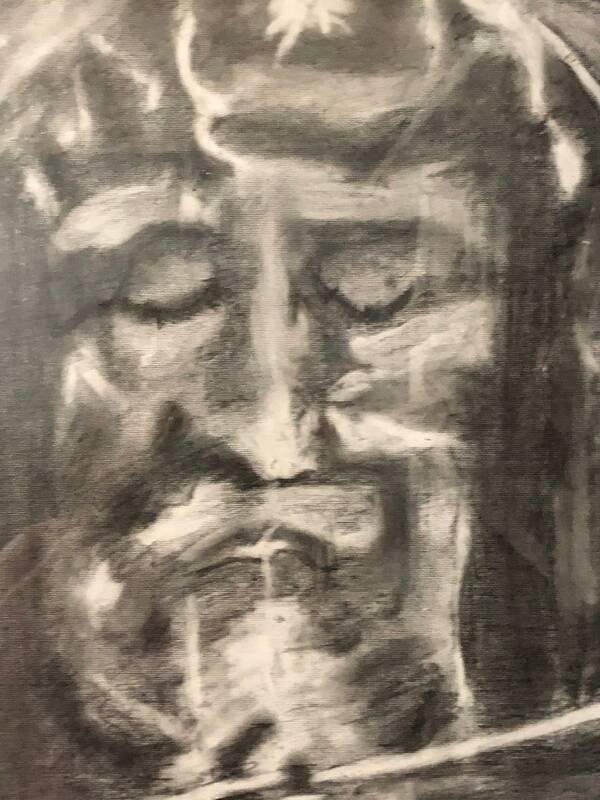 In this piece, I see the torture and torment our blessed savior endured to save us from eternal damnation. 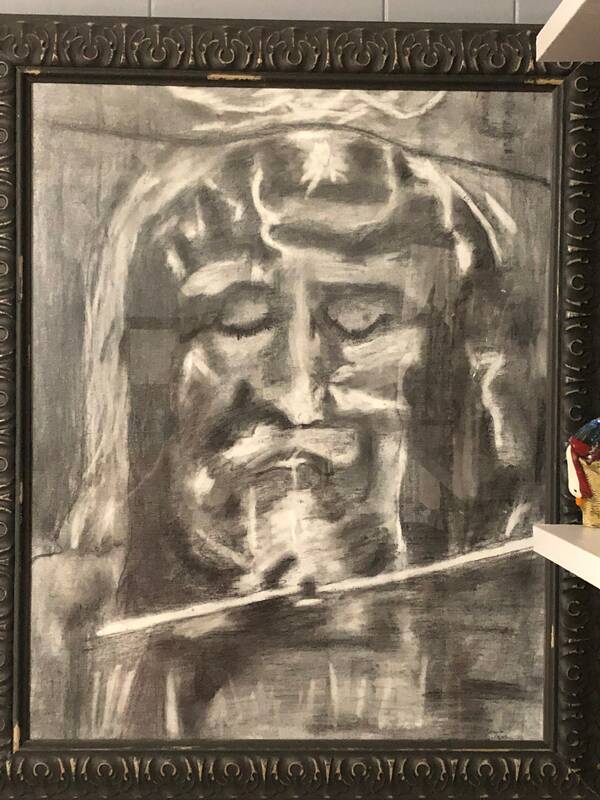 I see the scars on his head and the swelling under his eyes, the dried blood on his lashes and finally, the Holy Spirit ascend to be placed on his mighty throne. Look closely, those who are interested, and see for yourself the sacrifice that was made for you and me.